WHS varsity cheerleaders proudly pose with their homecoming mums. Ashli Urano Photo. Wylie Pirates varsity football team took on the Garland Owls in District 10-6A play on Sept. 28. 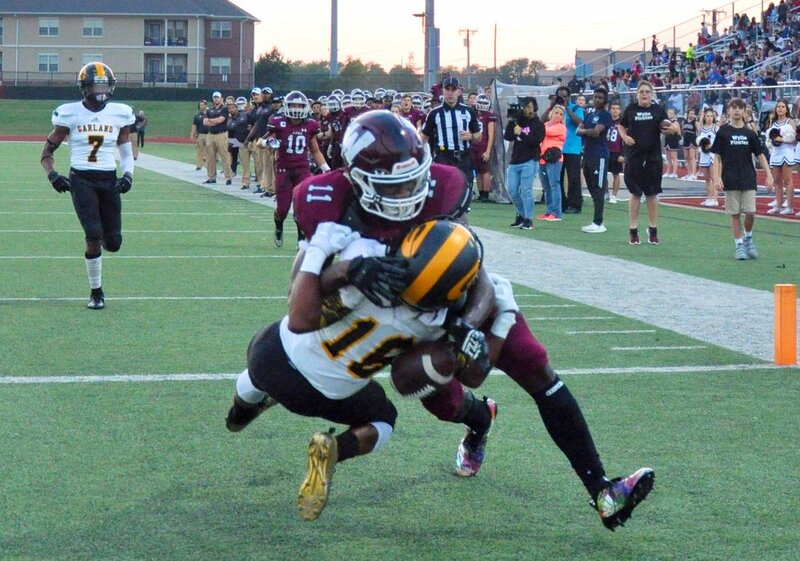 Pirates quarterback #14 Rashad Dixon put an exclamation point on Wylie High’s 50-7 win against Garland with two rushing and three in-the-air touchdowns, capped off by a 46-yard touchdown pass to wide receiver #11 Donovan Ollie. Dixon had an 88.9% pass completion performance for 160 yards of offense with no interceptions in the game. Wylie Pirates take the field against Garland Owls. The Pirates played well on both sides of the ball with the defense holding the Owls to just one first down and a safety in the first half. 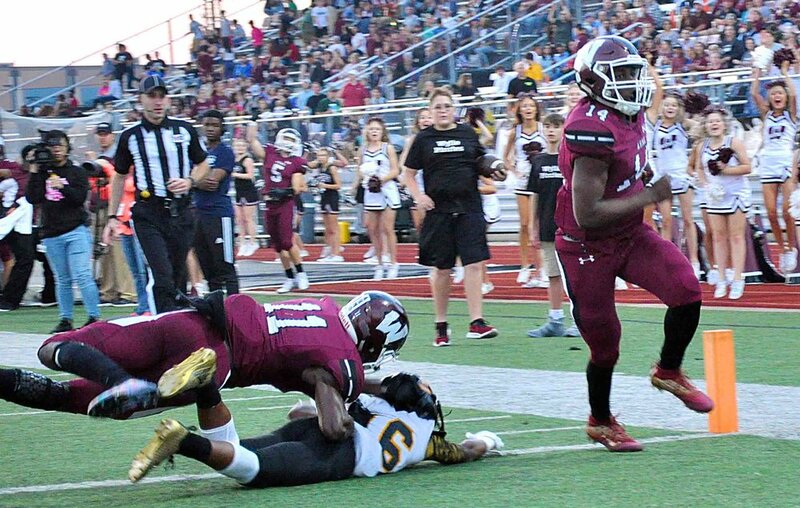 While the Pirates have had some challenges in the first part of the season, the team’s dominating performance on Friday night showed what they are capable of and created a lot of excitement for the second half of the season. Pirates #11 Donovan Ollie tackles Garland #16 as #14 Rashad Dixon scores. Rook Segrest and Laeticia Evang are named band beau and princess. Neil Patel and Olivia Ofoegbu are crowned homecoming king and queen.